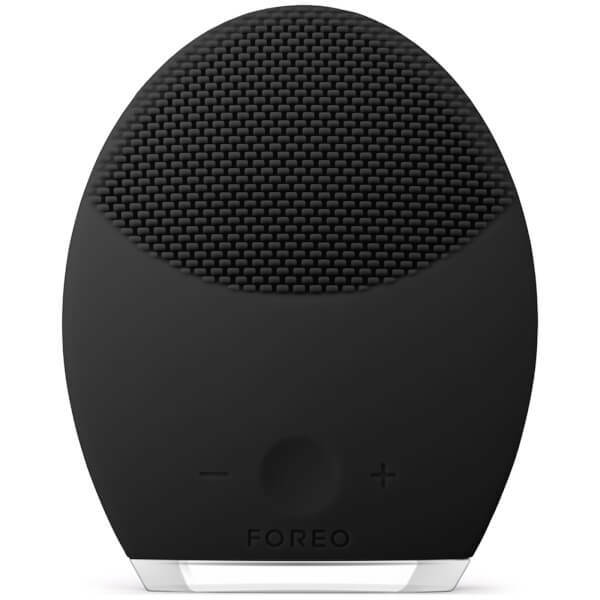 Treat and transform skin with the FOREO LUNA™ 2, a facial-cleansing device designed to provide a professional standard of skincare with its invigorating two-minute ritual. Inspiring healthier-looking skin, the LUNA™ 2 will help clear and clarify for a more luminous-looking complexion. 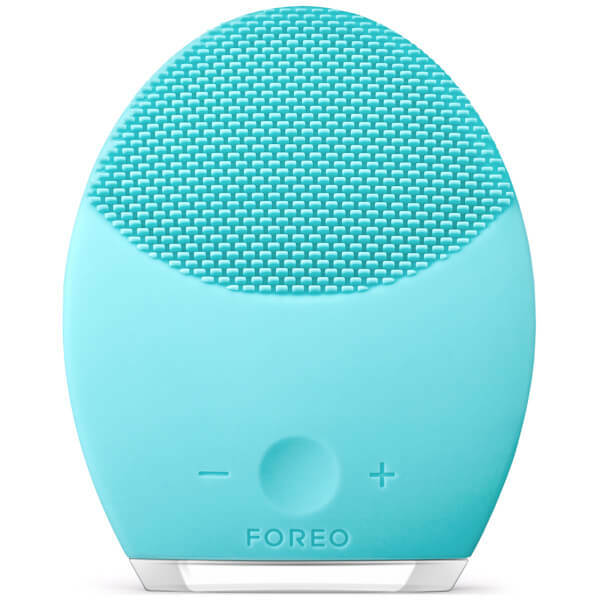 Combining T-Sonic pulsations with softer, non-porous silicone touch-points, the plush device targets skin cells gently yet efficiently, helping to unclog pores and lift away dirt and oil. The silicone 'bristles' are super hygienic and resist bacteria build-up to keep skin fresh and clean. Embedded with a high-technology Anti-Ageing Mode, the cleanser directs lower-frequency pulsations to wrinkle-prone areas to help smoothen the appearance of lines for firmer-looking skin. 100% waterproof, the device is safe for use in the bath or shower. Apply Cleanser: Apply your favourite cleanser. Wet the LUNA™ 2 and activate its Cleansing Mode. Cleanse: Gently glide the LUNA™ 2’s cleansing surface in circular motions over your face for 1 minute. Rinse: Rinse and dry your face. Apply skincare products, if desired. Anti-Ageing: Activate the LUNA™ 2’s Anti-Ageing Mode. Press its anti-ageing surface onto wrinkle-prone areas for a total of 1 minute. I bought this to help with exfoliating dead skin cells on my face. I like it very much, as it’s gentle yet it cleans well and does the job I purchased it to do. The brush is amazing. It cleans my face and makes my skin feel smoother then when I used my fingers to apply cleanser. 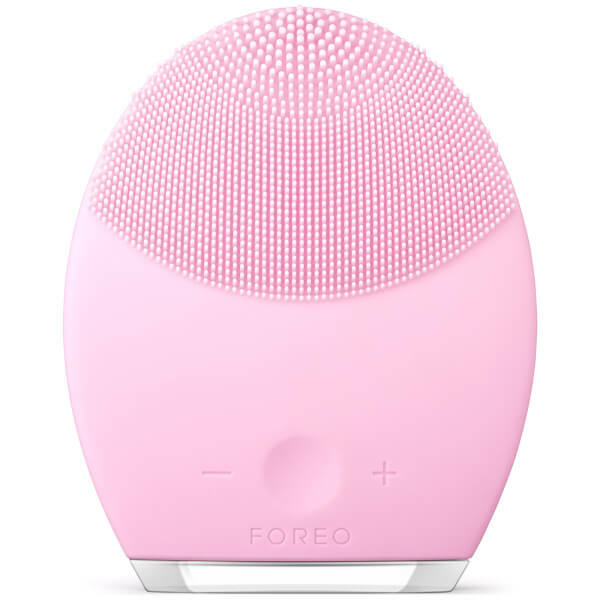 I'm using a lot of makeup on daily basis so when i saw this cleansing brush i've known that i need to buy it. This is the first brush that actually does help me remove all of my makeup and gives me the healthier skin. Everytime after using my Luna , my skin is glowing!